The first exhibition in America of rare 19th-century photographs of Beijing by Thomas Child from the Stephan Loewentheil Historical Photography of China Collection. The famous bride and groom in Child’s wedding photograph, Zeng ji Fen and Nie ji Gui, were only recently identified, and then discovered by their great grandson Raymond Watt living in New York City. 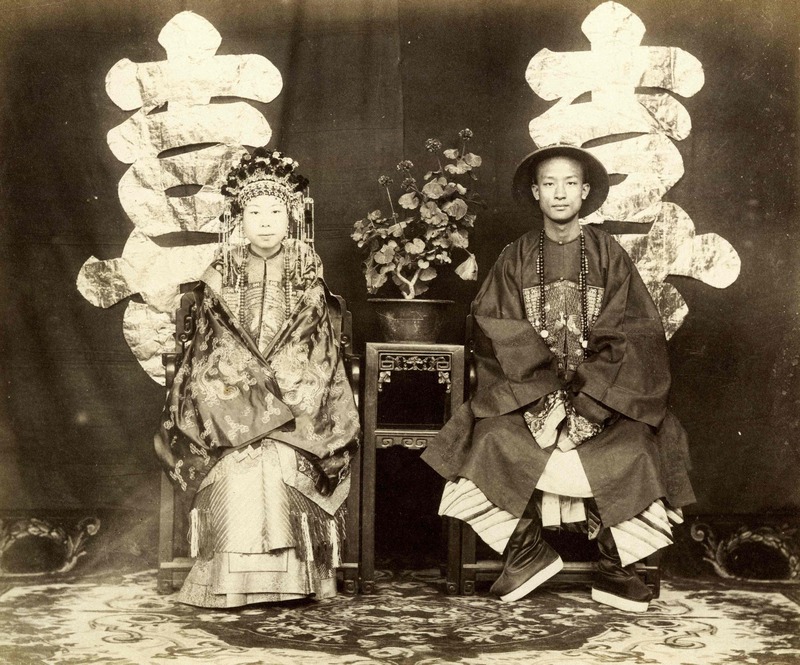 Child’s noble wedding portrait is of great significance to the history of China. These views of Peking (Beijing), made in the 1870s and 1880s, are from the earliest comprehensive photographic survey of the ancient city. During his nearly two decades as a resident of Peking, Child produced the most extensive photographic documentation of the city and its surroundings. The images depict the architecture, monuments, people, and culture of Peking (Beijing) during the early years of photography in late imperial China. Child’s photographs offer a unique glimpse into the country’s rich cultural past.